A Wire Cable Basket for under desk cable management. Made from metal and in a Black or Grey finish. 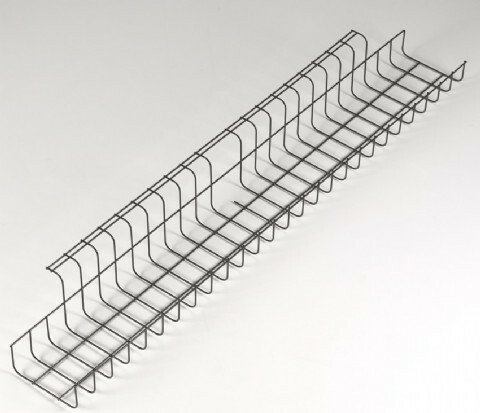 These trays are supplied as a basket only so for the installation we recommend using a screw with a washer to attach it to the underside of a desk / table.